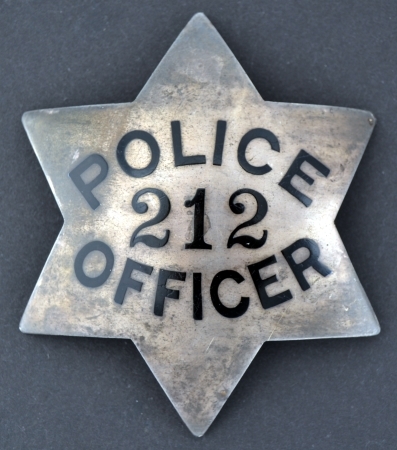 1878 San Luis Obispo Police presentation badge, sterling. 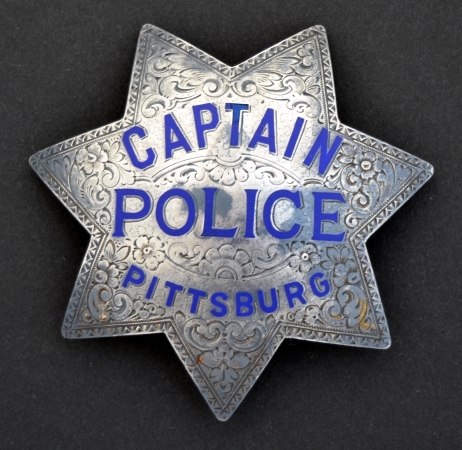 Pittsburg Captain of Police badge. 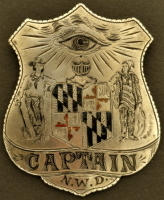 Circa 1935, sterling silver. 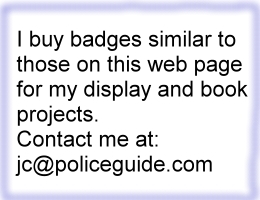 Police Officer #4 Santa Rosa, CA badge. Circa 1940, sterling silver. 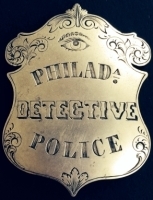 Sergeant U. C. police badge #2 worn by Wm. Wadman Jr.